EMDR Therapy enables people to heal from the symptoms and emotional distress that are the result of disturbing life experiences. EMDR therapy involves attention to three time periods: the past, present, and future. Focus is given to past disturbing memories and related events. Also, it is given to current situations that cause distress, and to developing the skills and attitudes needed for positive future actions. Eye Movement Desensitization and Reprocessing (EMDR) enables people to heal from the symptoms and emotional distress that are the result of disturbing life experiences. EMDR psychotherapy is considered a breakthrough therapy because of its simplicity and the fact that it can bring quick and lasting relief for most types of emotional distress. Scientific research has shown that by using EMDR therapy, people can experience rapid, safe, and highly effective healing that once took years to heal. Originally, EMDR was used to treat PTSD and trauma (whether you remember the trauma or not), which are common underlying factors of addiction and mental health issues. However, it has been found that this powerful short-term therapy is highly effective for a wide range of other disorders including chronic pain, phobias, depression, panic attacks, eating disorders and poor self-image, stress, worry, insomnia, stage fright, disturbing memories, complicated grief, performance anxiety, and recovery from sexual abuse. EMDR therapy shows that the mind heals from psychological trauma much as the body recuperates from physical trauma. When you cut your hand, your body works to close the wound. If something irritates the wound, it festers and causes pain. Once the irritation is removed, healing resumes. EMDR therapy shows a similar healing in the mind’s mental health. If the brain and a person’s mental health system is blocked or imbalanced by the impact of a disturbing event, the emotional wound festers and can cause intense suffering. Once the block is removed, healing resumes. Patients who have suffered for years can now gain relief from EMDR. 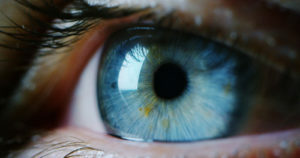 Many patients who have made slow progress in the past, or who have not benefited from more traditional therapies say that EMDR has helped them release the hold trauma has over their body, thereby helping them regain their life. EMDR does not involve the use of drugs or hypnosis. The therapy heals trauma by teaching a patient skills to handle emotional distress and using stimulation such as eye movements and taps. Before beginning EMDR, the therapist will teach coping skills and strategies so the patient feels safe and grounded. The therapist will also work to increase the patient’s resiliency and teach the patient skills to self-regulate emotions. Once prepared, the patient can identify negative feelings and beliefs that may have developed as a result of the experienced trauma. The EMDR process helps patients release the impact of trauma from their minds and bodies so that they feel stronger, safer, and more secure. The number of EMDR therapy sessions depends on each client and their particular issues. Some patients experience a decrease in symptoms in just three sessions, while others will require around 12 sessions to achieve the maximum benefit. Generally, the more severe the trauma, the greater number of treatment session are needed. However, most people experience some changes, like a small reduction in anxiety or depression, after one or two sessions.